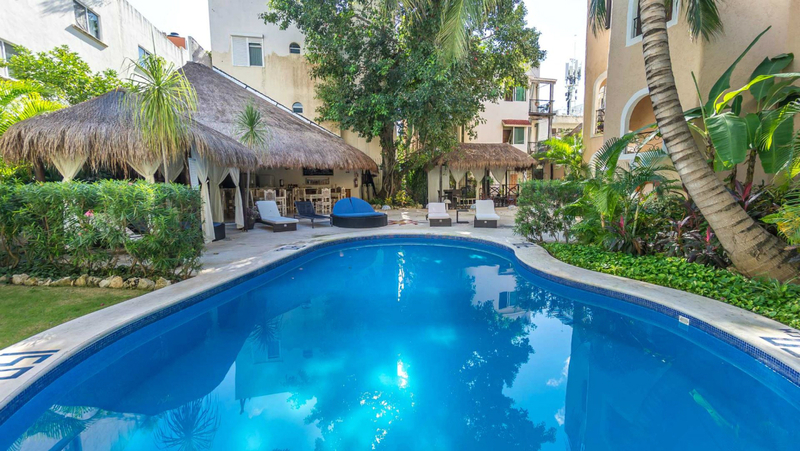 The BRIC Hotel & Spa is a quaint 14-room gem located in the heart of downtown Playa del Carmen. The Bric Hotel offers comfortable accommodations at affordable prices. In addition, their attention to treating people right starts with their staff and is passed along to each and every guest. The result? Satisfied customers who return year after year to book a room at this hidden gem of a hotel & spa located just steps away from some of the top 5th Avenue shops and restaurants. The hotel’s spa is an extension of the BRIC’s attention to detail and quality. With a wide array of therapies and treatments—all of which use only natural ingredients, many of which are homemade—is the perfect way to wind down from the stress of daily life and get into the relaxing Caribbean rhythm. Check out the BRIC spa page on our website or our review of BRIC Spa on the blog for more detailed information. With only 14 rooms, the BRIC hotel is a boutique property ready to offer personalized service at affordable prices. Choose your preferred room at the time of booking. Each room offers a private balcony or terrace. The room comes equipped with a king bed, air-conditioning and a ceiling fan as well an in-suite bathroom. Each room has a television, WiFi, and a minibar. These rooms have two double beds as well as a private balcony or terrace. Each come with air-conditioning and a ceiling fan as well as an in-suite bathroom. Each room has a television, WiFi, and a minibar. Enjoy a complimentary breakfast in the palapa by the pool. Served up fresh every morning, breakfast at this Playa del Carmen boutique hotel includes fruit, yogurt, pancakes, eggs, bacon and toast. The BRIC spa is located on site and waiting to pamper you. With an internationally trained team of therapists, all natural products and an affordable spa menu, treating yourself has never been easier. The BRIC Hotel &Spa can accommodate small wedding groups, family reunions and group getaways. Contact us for more information.